Great news for my Wisteria Witches Mysteries fans who prefer audiobooks! Book #5 is newly released in audiobook. You can find it on Apple Books / iTunes, Audible, and Amazon. Now the first 7 books are all in audio format, with books 8 and 9 coming later this summer. Book 9 (Daybreak book 2) is releasing in ebook on all retailers April 26th. Preorder now for an instant delivery that'll make your day! 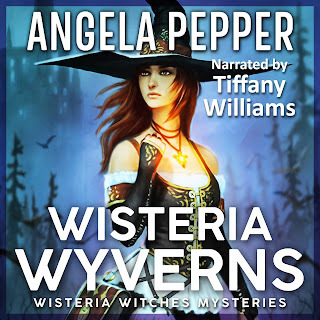 New Audible Box Set - 24 hours of Wisteria Witches for ony 1 Audible credit! Or FREE! 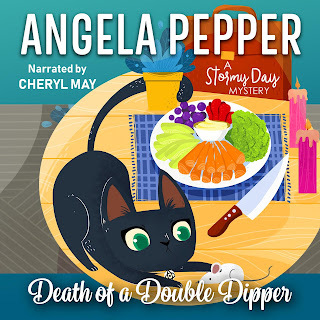 Ready to dive into an audiobook adventure? 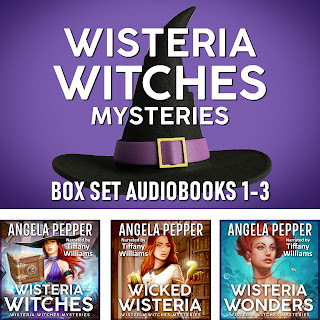 For the first time ever, the first 3 Wisteria Witches books are now available as a package deal. Pick up all 3 books--that's over 24 hours of listening enjoyment!--for only a single Audible listener credit. What a deal! And if you don't have an Audible account yet, sign up now for a free trial membership, and you'll get this bundle for FREE! Can't beat that, right? Like all the covers for the Wisteria Witches series, this is a custom painting, and it does tie in with the events of the book. 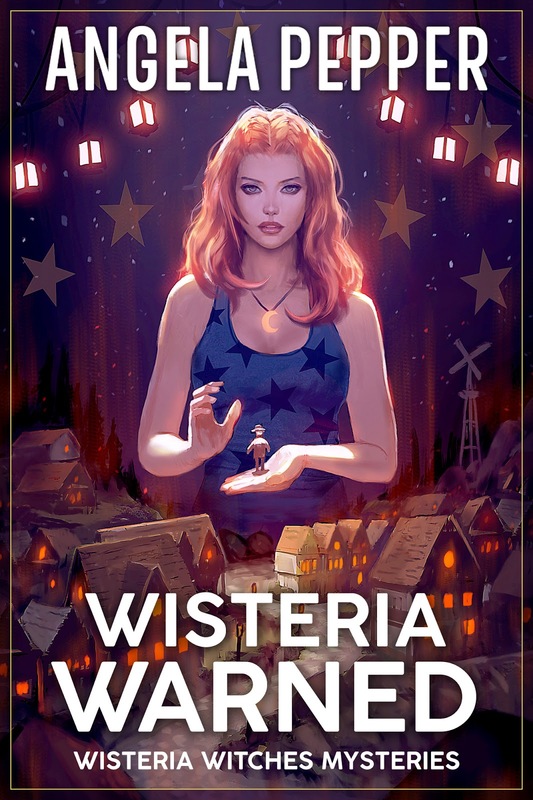 WISTERIA WARNED is shaping up to be a great book that I'm pretty sure the Wisteria fans will adore! Lots of secrets revealed and trouble unsealed in this one. Release date is early 2019. Audio fans! 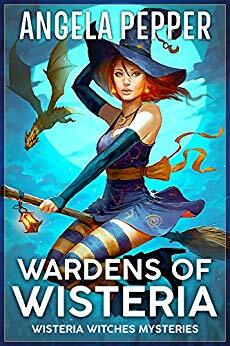 Hot from the recording studio, here's the third book in Zara Riddle's ongoing adventures as a single mother / witch / librarian living in a wacky small town full of supernatural beings! 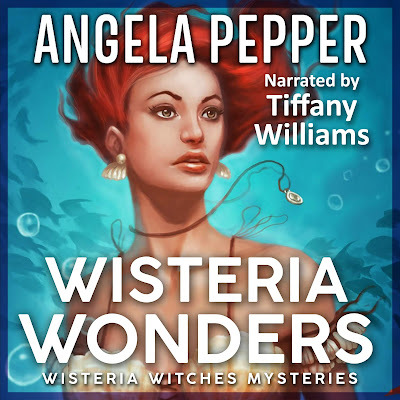 In the Wisteria timeline, Wisteria Wonders happens at the same time as the events in Aunt Zinnia's 2nd City Hall book, Wisteria Wrinkle (available now in audio as well). It's fun to listen / read both around the same time and see all the fun crossovers between the two books. While writing this book, I found myself relating to Zara's desire to keep the ghosts from taking over. In regular, non-witch life, we don't have to worry about ghosts possessing our bodies, but we do face the challenges of allowing people into our hearts, and the messes they make. And now... here are the links, below. 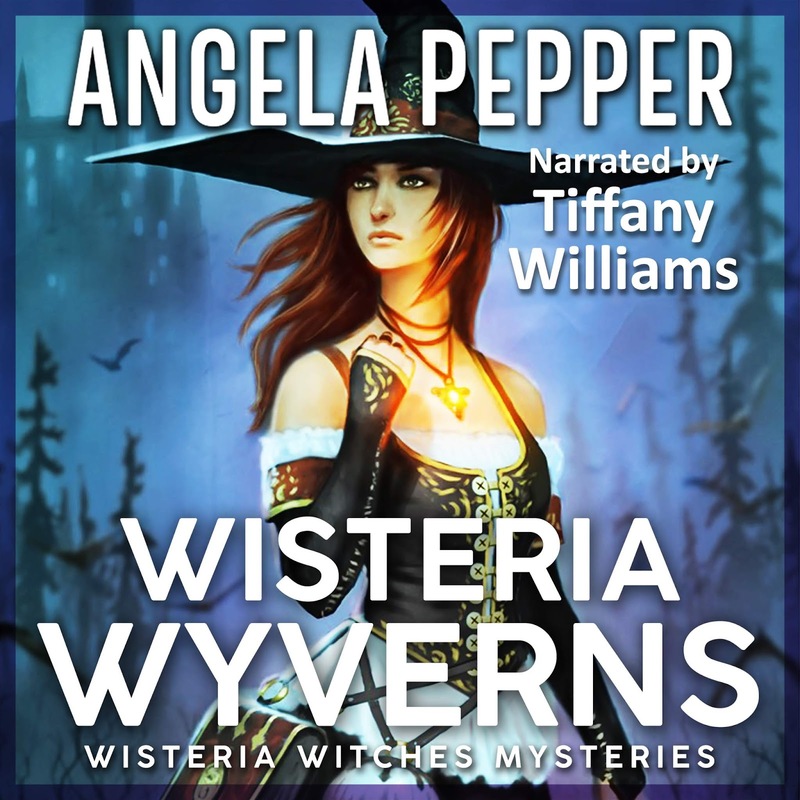 A note about availability: The full Wisteria Witches series is now available not just on Amazon, but also on iTunes, Nook, Googleplay, and Kobo. Because my books are no longer exclusive to Amazon, they are not available in Kindle Unlimited. This is because, due to recent changes in how Amazon is running the KU program, I'm no longer able to participate, so I do apologize to the KU readers. But there are options for getting your witches! All books are available in ebook at all the major ebook retailers. Half of them are available in audiobook right this minute, with more on the way this winter and early 2019. There are also paperbacks, too! If you'd like your local library to carry the series, put in a request with your friendly librarian. Be sure to mention that the main character is also a friendly librarian. Enjoy! If you're a fan, please leave a spoiler-free reader review online to help spread the word. Note: As of November 2018, this series is widely available at all retailers and no longer exclusively on Amazon, therefore it is not available to borrow within the Kindle Unlimited program. I apologize to my Kindle Unlimited readers for any inconvenience. Thanks for being understanding. It's a hard decision for us authors to stay in or leave KU. We adore all of our readers and don't ever want to disappoint them. If you're a fan of the series, but you only read books through Kindle Unlimited and are looking for an alternate way to get the books, I invite you to apply to be on my street team. There are some team openings right now. Apply here.